Campanologic exposition presents the collection of 30 bells from the whole Slovakia; the oldest bell dates back to 1491. Archaeology – the exposition includes, besides others, the fragment of a Neanderthal woman’s forehead bone, which is about 45,000 years old. The Gothic Town – Trnava was surrounded by the town walls already in the 13th century, and in the 14th and 15th centuries it ranked among the biggest towns of the central Europe. Folk Costumes in Western Slovakia – wedding, working, children’s, ceremonial, Catholic and evangelical costumes as well as various clothing accessories. Folk household pottery – you can admire the products of the most famous pottery workshops in Slovakia. 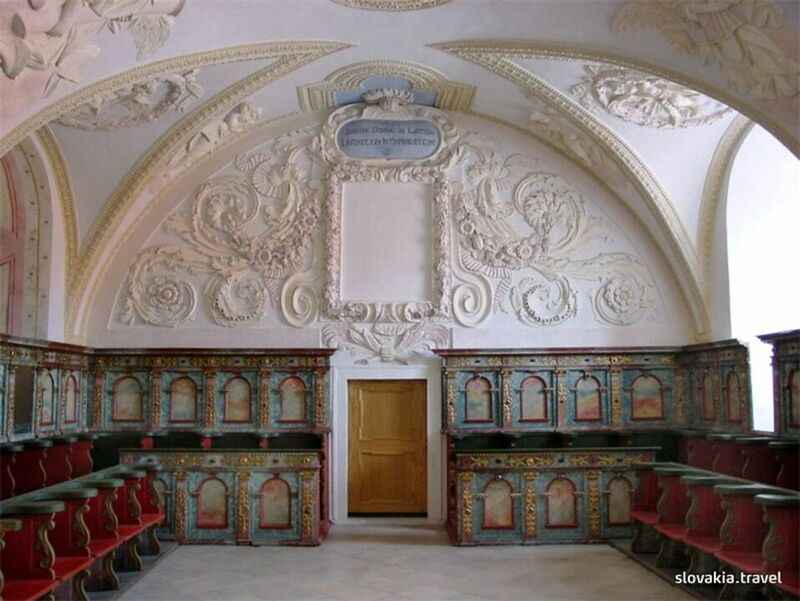 Natural Sciences – the collection fund focused on the western Slovakia region. This exposition presenting the fauna, flora and geology of Malé Karpaty is popular among visitors of all ages. Beauty of the Past is the exposition which offers its visitors a tour of interior with historical furniture and accessories from the period of Classicism until the secession period. The chronostichon on the building’s front tells us that during the Turkish Invasion the Hungarian royal crown was hidden in this place. The exposition called Mikuláš Schneider Trnavský is dedicated to life and work of the composer. 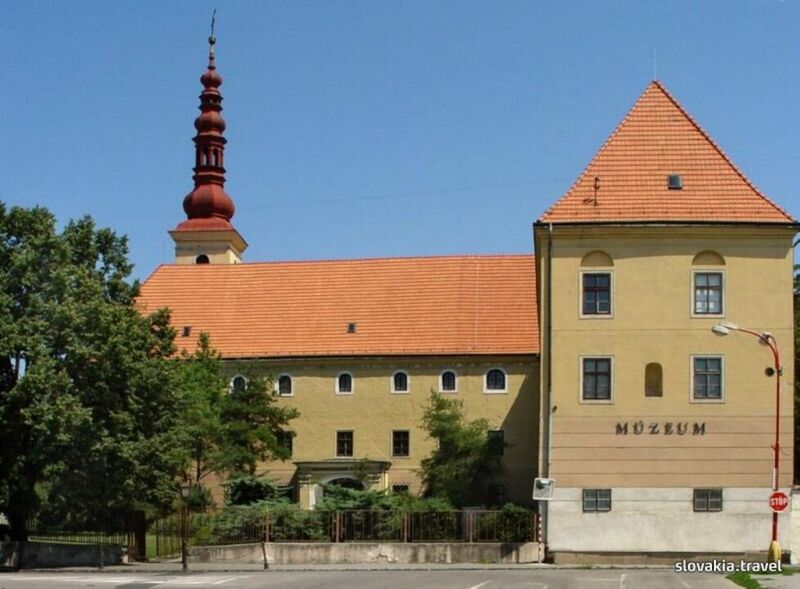 The exposition called History of the Sacral Music Society, which was founded in Trnava in 1833, also presents the history of the musical life in Trnava in the 19th century. The exposition Dvorana slávy Dobra (the Dobro Hall of Fame), dedicated to an American national musical instrument Dobro and its author John Dopyera, is extremely popular, particularly during the international festival Dobrofest. The Renaissance building of the former theological college, founded by archbishop Mikuláš Oláh, is the place of an exposition focused on book culture, illustration,historical and present-day printing as well as typography. The first floor of the building features an exhibition on the life and works of Trnava's well-known sculptor and medal maker William Schiffer. Prístupné aj pre imobilných návštevníkov.